Following its premiere at the Glasgow Film Festival, The Vanishing has unveiled its trailer and key art. The film is directed by Kristoffer Nyholm (The Killing) and written by Celyn Jones (Set Fire to the Stars) & Joe Bone (Castles In The Sky). The Vanishing is a psychological thriller inspired by a true, unsolved legend – the Flannan Isle mystery. 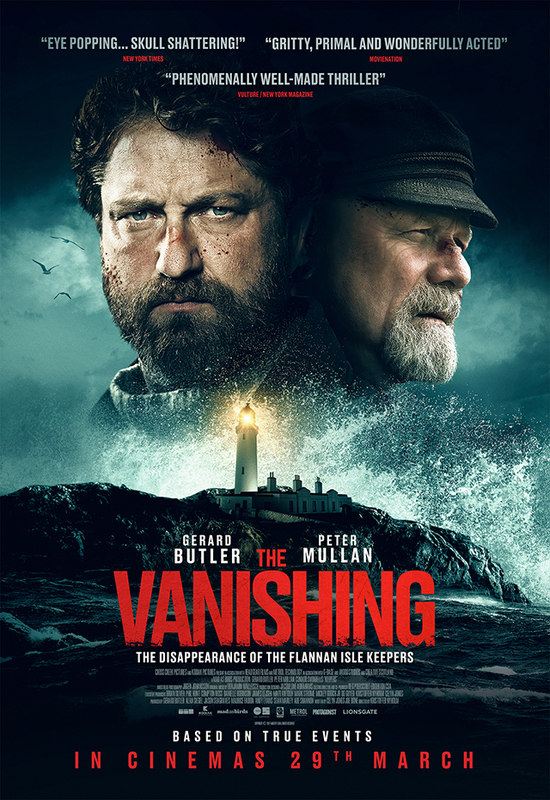 Set on an uninhabited island 20 miles from the rugged Scottish coast, The Vanishing tells the story of three lighthouse keepers who stumble on something that isn’t theirs to keep. What follows is an isolation and paranoia-fed battle for survival as the men venture down a path of destruction. The film is produced by Andy Evans, Ade Shannon and Sean Marley. The Vanishing will be released in cinemas from 29th March 2019.